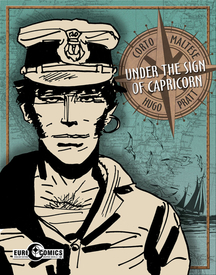 Originally published in 1970-71 in Europe, and partially published in translation in North America in the mid-1980s by NBM, the six stories collected here in Under the Sign of Capricorn mark the official return of Corto Maltese! One of the great creations of European comics, the Corto Maltese saga -- along with it’s creator, Hugo Pratt -- have been justly celebrated for decades in Europe, and won many an adherent here in the states as well – including no less a luminary than Frank Miller, who praises Pratt as “one of the true masters of comic art.” Series editor – and co-translator – Dean Mullaney has taken pains to present this work as it is meant to be seen and the reproduction of the art as well as the production values of the book itself – a large format edition with extra heavy paper stock and scored covers for ease in reading – are both sure to please. 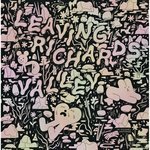 Best of all is that there’s more to come, as this is only the first of twelve volumes in what, based on the evidence so far, seems likely to live up to the promise of being “the definitive English language edition.” Take a quick look here.